Before diving into the Amway business, what it is and deciding if there is an Amway scam, it’s important to read comprehensive Amway reviews. This gives you detailed information pertaining to the company and the Independent Business Owner opportunity that they offer. So we set out to do that and to read what others says about Amway and to give our own opinion. In this comprehensive article you will learn about whether there is an Amway pyramid scheme or an Amway scam. You will also get the facts regarding income potential and see what others have to say about the company. One of the most important elements of any Amway review is getting the facts about what the business is about, how it started, and if there is money to be made. This also helps you to determine if there is an Amway pyramid scheme or Amway scam. Amway is a multi-level marketing company. They allow people to become Independent Business Owners. This gives them access to Amway products that they sell independently. 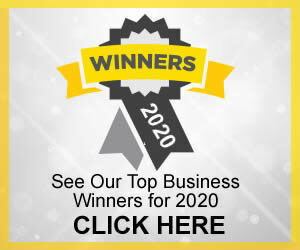 The IBOs ( Independent Business Owners), also have the opportunity to sponsor others into the business and this allows for an additional income stream. There are also multiple affiliated companies that contribute to the Amway brand. They sell a variety of products. Most of these products fall under the health and beauty and household goods categories. Amway is a privately held company. The parent company is Alticor. Alticor is run by the same people who developed Amway. This includes the Van Andel family and the DeVos company. Learning more about the history of the company is important. Did the founders develop an Amway pyramid scheme? Did they devise an Amway scam? In 1949, two childhood friends, Richard DeVos and Jay Van Andel, learned about the Nutrilite Products Corporation. They became distributors for this company. They eventually lost interest. However, they went to Chicago to a Nutrilite seminar. They went back to selling the product and became successful as distributors. This is where the duo was introduced to the multi-level marketing business. This partnership and becoming distributors for Nutrilite resulted in the birth of Amway, referred to as the American Way Association, in 1959. An Ohio scientist created the first product. It was a type of concentrated organic cleaner. In 1994, Amway assumed full ownership of Nutrilite. They continued to expand into countries throughout the world. As of 2017, the company was selling products in over 100 territories and countries throughout the world. In 2017, the Amway business stated that their global sales were approximately $8.6 billion. This figure makes this direct-selling company the largest one in the world. This was earned by Independent Business Owners selling and buying their household cleaners and health and beauty products. All Amway reviews should provide details regarding how the Amway business works. This helps you to determine if it is an ideal business for you. It also gives insight into whether Amway is a pyramid scheme or a scam. Those who are interested in starting an Amway business will first need to sign up to become an Independent Business Owner (IBO). From here, they have access to the products that they will sell. Amway has over 450 products that sellers can choose from. Everything has a Satisfaction Guarantee, so if buyers are unhappy, the company says they will help their sellers to make it right with their customers. By selling the products, people can earn money. The company does not appear to make any guarantees regarding how much money someone may earn by selling the products. Most reviews state that making money definitely takes effort and work. The company provides their Independent Business Owners with skill building opportunities. Once someone signs up to sell the products, they will get access to offline and online learning plus business tools. There is not a lot of information regarding what these tools and resources include. However, the company says that people can learn practical skills that will help them in their business. 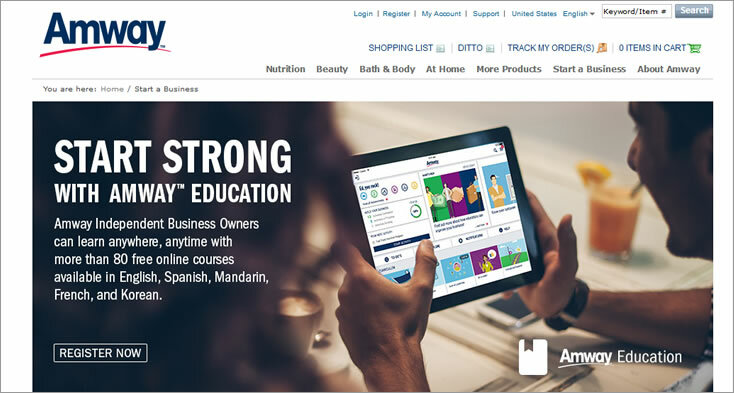 It is assumed that the learning resources involve information about selling the Amway products. It may also help people to learn about sales tactics, business operations and similar topics that will aid independent sellers to create a foundation for their business. Amway uses a direct selling approach to provide their products to the public. Those who sign up to sell the products will be selling to individuals and not in a retail environment. The products are only available through Amway Independent Business Owners. They typically buy the products at a reduced rate and sell them. They profit from the difference between the selling price and the price they paid to purchase the products. The real money is made by sponsoring other IBOs and building a network of distributors. You will then get a percentage of the entire network you help create. This is what is referred to as MLM (Multi-Level Marketing). It’s this type of marketing that leads people to think that Amway is a pyramid scheme. However, just because the shape of the business structure is a pyramid does not mean much. The shape of the business has nothing to do with whether something is a pyramid scheme. A pyramid scheme is when someone promises payment for enrolling others in to the scheme but supplies no real product or service. Amway does not do this. You must have product sales to to build the business. It’s built on product sales and recruiting others to buy and sell products and then to help others do the same. How Much Does Amway Cost? It is relatively inexpensive to get started as an Independent Business Owner with Amway. Those who want to become Independent Business Owners for Amway will invest approximately $100 for the startup cost. Annually, the fees are said to be less than $100. It appears that the annual fee is around $60. Within 60 to 180 days of becoming an Amway Independent Business Owner, if you change your mind, the company states that they will offer a full refund of the startup fee. There does not appear to be any additional costs with getting started. However, you will need to buy the products that you sell. The associated costs vary depending on the products you choose and their total cost. The fees listed above are not from Amway and are part of most sponsoring organizations. All the fees are optional. How Much Can be Made with Amway? When people talk about a possible Amway scam, it is usually associated with the income potential for Independent Business Owners. It is important to get an idea regarding the income potential before you decide to sign up and become an Amway Independent Business Owner. “The average monthly Gross Income for “active” IBOs was $207. Approximately 48% of all IBOs were active. U.S. IBOs were considered active in months in 2016 when they attempted to make a retail sale, or presented the Amway IBO Compensation Plan, or received bonus money, or attended an Amway or IBO meeting. Depending on the monthly expenses that sellers have, those who earned an average of $207 may not have actually earned anything at all. The $207 was their gross profit before any associated expenses. It is unknown what the average monthly cost was for Independent Business Owners during this time. By law Amway “must” disclose the average monthly income of IBOs. However, this really means nothing. This means that most IBOs who get in the business do nothing. Like most business opportunities, the average person does very little which is why they fail. We have a unique viewpoint of the Amway opportunity. Scott the founder of VETTED OPPS spent 7.5 years building the Amway business. From the years 1991 to 1998 Scott built a business that at one point reached what is called the “direct distributor” level. “I spent almost 8 years building Amway. I was totally committed to the business and spent 5 days a week building my network. Amway is more than just the product side of the business. That is one aspect. You get your product from Amway. The other side is the organization you are sponsored into. These are the people who will help you learn what it takes to build a successful organization. I was in an organization called ‘The Britt System’ or what was later called ‘BWW – Britt Worldwide’. This was a group led by Amway Founders Crown Ambassadors Bill and Peggy Britt. 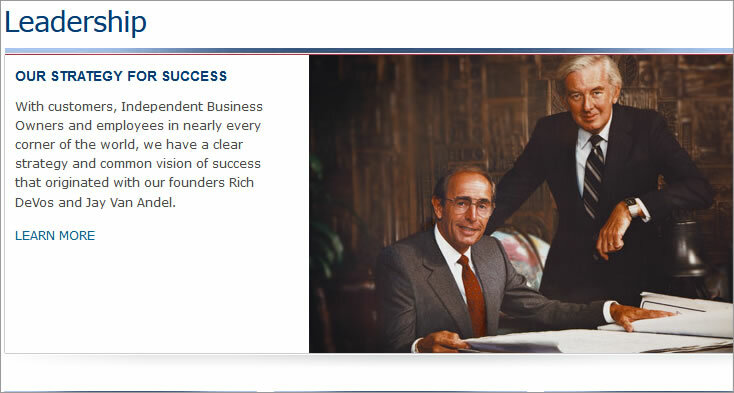 Bill and Peggy had one of the largest and most successful organizations in the business with well over 1.5 million IBOs in their organization. Many people get upset because their ‘upline’ encourage them to go to ‘functions’ These are conferences that are planned and run by the leaders in the organization to help train and motivate IBOs. When I was involved there were four major functions a year. These were held once a quarter. These were the largest conferences and were held in the spring (Spring Leadership), summer (Family Reunion), fall (Free Enterprise), and winter (Dream Night). The major functions were weekend conferences starting on Friday evening and ending on Sunday afternoon. Then there was a local one day conference held once a month. On top of this there was a local open meeting one day a week. This was a meeting where you would bring new prospects to see the business opportunity from someone who had some success in the business and usually had a group of other IBOs in attendance. These could be from a few people to hundreds. The remainder of the time was spent building the business. Calling people, contacting new people, showing the plan, and buying and selling products. The organization had an educational system where IBOs could be tapes and books that would help with education. This was called standing order where a new tape was produced each week and distributed to all IBOs who were enrolled in the standing order program. Many people get upset about the educational system saying they are being brainwashed and that they are pressured to buy tapes and go to functions. I can only say that no one every pressured my to do anything. I did it because I truly wanted to succeed. So, even though I did not reach the level of success I had hoped, I never regret my years spent in the Amway business. I learned so much about myself. I always say I received a PHD in dealing with people. It may be hard to believe but through Amway I overcame all my fears of talking to people and speaking in front of others. In fact, I learned to speak in front of more than 5,000 people! I would never have overcome that fear if it were not for the Amway business. What I loved most about the business was the incredible people I met. They were some of the most kind and loving people I have had the pleasure of knowing. Now I know, there are people who have had horrible experiences with Amway. It was not actually Amway they had a bad experience with, it was their sponsoring organization or ‘upline’. I have heard the stories of IBOs being pressured into buying tapes, going to functions, and even being lied to about the success of their upline. It’s sad to hear this but anywhere you have an organization made up of people, you’re going to have bad apples. As I said, I never experienced any of this. On ConsumerAffairs.com the Amway business has mostly positive reviews at the time of this writing. The majority of Amway reviews were posted by people that have purchased Amway products and most liked the products. There were some reviewers who feel the products work well but, they are more expensive than products you can purchase in stores. There are a few Amway reviews from buyers who felt pressured to become a distributor. A few reviewers were upset by those trying to sponsor them or a family member. Those who sell the products state that they are difficult to sell due to the high prices. One reviewer stated that the compensation plan for Independent Business Owners is unfavorable. Overall, people seem to be happy with product quality. However, those selling the products seem dissatisfied with the earning potential. On TrustPilot, Amway has four reviews at the time of this writing. This contributes to a four-star rating. The reviews largely support the quality of the products. 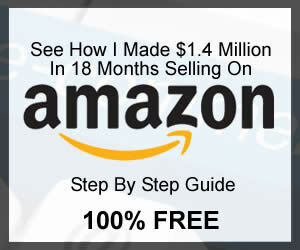 One reviewer said the company provides an excellent network marketing opportunity. Two others make a similar claim about the opportunity. Amway is accredited by the Better Business Bureau. They have an A+ rating on this website. There are 16 customer Amway reviews that contribute to a five-star rating at the time of this writing. The reviews on this website are largely from those who purchase and use the products. Most are positive and state the products are of high quality. One reviewer stated that the sellers may become too aggressive to sell the products. There are numerous reports about Amway on RipOffReport. These Amway reviews are a mixture of people who sell the products and those who purchased from Independent Business Owners. Reviewers who bought products state that they felt overly pressured to make a purchase. Those who sold the products state that they did not earn much money from their efforts. No one on this website states a direct Amway pyramid scheme or Amway scam, but they state that making money can be incredibly difficult. Amway does have a Facebook business page. They do not have reviews enabled on this website. They do allow visitors to post on their page. There is a mixture of comments on Facebook about the Amway business at the time of this writing. These range from happy sellers and buyers, to those who were dissatisfied with the products or selling opportunity. The Amway reviews on Indeed.com are mostly from those who work for the corporate office. This company has 4.1 stars on this website at the time of this writing. Most reviewers state that culture and work-life balance are excellent with this company. Most appear to be satisfied with their compensation, management and job security. The reviews of the Amway business on Glassdoor are a mixture of Independent Business Owners and people who work for the corporate office. This company has 3.9 stars from 480 reviews at the time of this writing. Most sellers appear happy with the opportunity, but many say that they are not earning as much as they initially thought they would. Those working for the corporate office appear mostly happy with their job and work environment. Is There an Amway Scam? After reading hundreds of Amway reviews and getting the details about the company, there does not appear to be an Amway scam. It is not easy to make money, and this opportunity will not make you rich overnight though. However, those who sell the products do earn money. Amway does appear to pay their Independent Business Owners as promised. Since 1959, Amway states that they have paid out more than $58 billion to those who sell the products. None of the Amway business reviews stated that sellers did not receive the compensation that they earned. Getting paid on time was one of the positive points that was frequently mentioned by sellers. Is There an Amway Pyramid Scheme? The Amway business is sometimes referred to as the Amway pyramid scheme. This is due to the multi-level marketing approach the company uses to sell their products. Multi-level marketing is not a pyramid scheme. The confusion comes in due to the sellers sharing the opportunities with other people. However, the sellers make money from selling the products and not from participating in an Amway pyramid scheme. In fact, the FTC ruled in 1979 that Amway WAS NOT an illegal pyramid scheme. Our verdict on the Amway business is recommend with caution. There is no Amway pyramid scheme and there is no Amway scam. The Amway reviews do not indicate anything nefarious. However, it is important to note that this is not an easy opportunity, and it likely will not replace a regular job for most people. 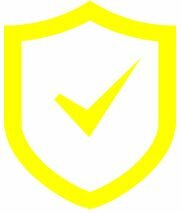 We added the “with caution” part because while making money is definitely possible, it may not be sufficient to support you financially without another income source.